Good morning ~ at least it's morning here for a few more minutes! I got a late start this morning because I had a dentist appointment. Unfortunately I have a cavity. Ugh! Last week, I got quite a bit of blogging done. I put up a review of The Pharos Objective by David Sakmyster. It was a great adventure story and I'm looking forward to reading the next in the series. I also reviewed In the Lap of the Gods by Li Miao Lovett. This was another excellent book. It was set in modern-day China and was quite interesting both in terms of the storyline as well as the glimpse into the culture there. Finally, I reviewed a children's picture book called Pink Me Up by Charise Mericle Harper, which is an adorable story about a little girl who gets her father to take her to the Pink Girls Pink-nic when her mom gets sick. Very cute! In other news, I wanted to remind everyone about the Scholastic Online Charity Auction that is taking place through June 5, 2011. It's a great opportunity to bid on some original artwork by children's book illustrators. And I'd love to hear how you promote your blog through Facebook. I set up a Facebook page for My Book Retreat, and am looking for ideas on how to use it. I'm still reading The Immortal Life of Henrietta Lacks by Rebecca Skloot. I just didn't have much time to read this past week, or at least I didn't make much time to read. I plan to finish it tonight. It's actually quite interesting. I'm going to read Blood Trust by Eric Van Lustbader next, and then I'll move on to A Game of Character by Craig Robinson, which I have for an upcoming blog tour. My book club read The Immortal Life of Henrietta Lacks last month. I really enjoyed it. Most everyone in the club did too. Have a great day! This week I'm reading Leven Thumps to the kids, Clockwork Angel for myself and writing writing! Oh, sorry to hear about your cavity. 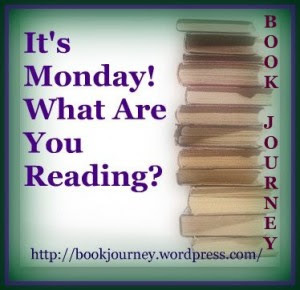 A very kind blog reader just sent me Henrietta Lacks last week - I can't wait to read it! I didn't have much time for reading last week either and have a lot of catching up to do! I have wondered what all you can do with facebooking for blogs. I'll be interested to see what you find! I listened to the first half of Henrietta Lacks, but didn't finish it. I really want to read the print version, though. I am here catching up with all you have been up to while I was absent for a few days. I rely on promoting my blog by posting reviews on a selection of book review sites but I have a Facebook page for my other blog, entitled News From Italy, if you are interested it would be great to see you there Julie.